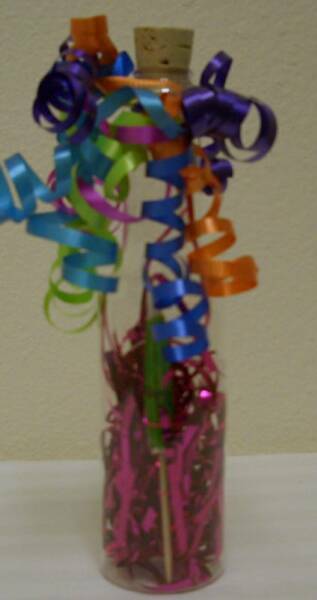 This Sweet Treat balloon bouquet arrangement looks so tasty, the lucky recipient may want to take a bite! Three red latex balloons are stuffed inside three clear bubble shaped balloons specked with white, floating hearts and completed with collars of heart shaped balloons. The star display is a pair of heart shaped foil balloons with two sides: one resembles a candy box with a "For My Sweetie" message, and the other has a image of chocolates the spell out " I Heart U" This bouquet is attached to a box of chocolates and accented with silk daisies and ribbon. Your Love is sure to thank you with an even sweeter treat in return. You may choose a bag of candy.